Turns sour foods to sweet! Perfect for "flavor tripping" parties. Warning-While everyone’s taste buds are different the duration of the desired effect varies from person to person. 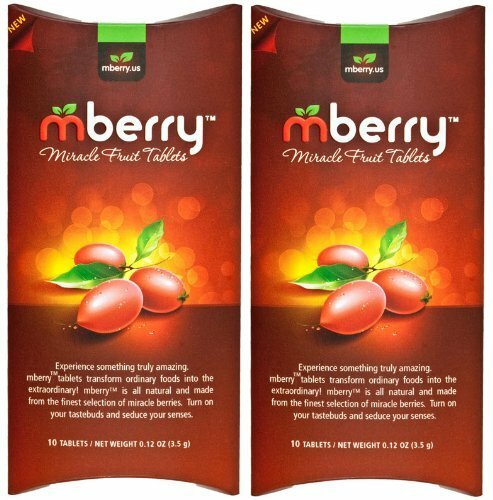 Mberry Miracle Fruit Tablets are tablets that you dissolve on your tongue, tricking your taste buds, making sour foods taste sweet. Knock sour out of the park with these all-natural miracle berry fruit tablets. Eat a lemon like an orange. Drink apple cider vinegar and actually enjoy it. Have a grapefruit for breakfast without sprinkling sugar on top. Astound, amaze, and vaguely worry your friends. What is miracle berry? The Miracle Berry (Synsepalum dulcificum) is a fruit native to West Africa. It is also known as Miracle Fruit or Miraculous Fruit. The berry is approximately the size of a cranberry and it contains the glycoprotein, Miraculin, which modifies taste perception. Once Miraculin binds to the taste buds, lemons will taste like lemonade thanks to the temporary altered state of the taste receptors on your tongue. Mberry can be enjoyed with friends and family. Make your own "flavor tripping" parties. Miracle berry can be helpful to people who want to limit their sugar intake and enhance their lifestyles by eating a healthier diet. Mberry tablets consist of only miracle berry powder and high quality cornstarch in approximately equal quantities. 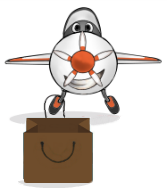 Here are some suggestions of foods to eat with mberry: Lemons and Limes, Oranges, Tomatoes, Cranberries, Grapefruit, Kiwi, Pineapple, Granny Smith Apples, Strawberries, Pomegranate, Raspberries, Grapes, Watermelon, Blackberries, Rhubarb, Mustard, Ketchup, Salt & Vinegar chips, Pickles, Sour Cream, Tabasco, Balsamic vinegar, BBQ sauce, Guinness, Tequila, Goat and Bleu Cheese. 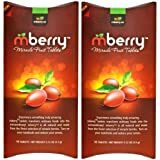 Mohon maaf, produk mberry Miracle Fruit Tablets, 10-Count (Pack of 2) sementara ini sedang habis.